Previously I had covered the idea of a NAS being a PVR that records your favourite TV shows. 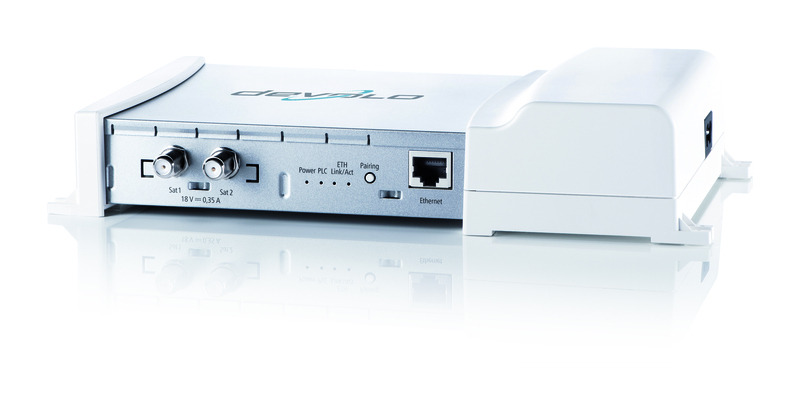 This is whether it works alongside a dedicated USB or broadcast-LAN tuner device or a fully-fledged set-top device. Recently, Plex was pushed as a “polished” media server for computers or NAS devices. This meant that it could show supplementary information about the movies or music you have on your PC-based media server or NAS if you used client-side apps on your TV or video peripheral. But this software’s functionality has been extended to include PVR where it can record TV shows off the air and on to your media server or NAS. At the moment, it only works with the HDHomeRun broadcast-LAN TV tuners as its signal source and uses Gracenote as its source for the electronic programme guide. This means that the functionality is offered as part of the PlexPASS subscription program. It seems to me that this feature could be destined for the servers that run the desktop operating systems but a good question to raise is if the DVR functionality will come about for NAS units because these would appeal more to those of us who run them as a media server. But personally, I would prefer that all of the platforms that Plex Media Server is written for have the upgrade for DVR recording. To the same extent, it could also be about using a NAS as a “gateway” for a broadcast-LAN device when it comes to viewing live TV content on a tablet, laptop or similar computing device. At least it is a different approach towards using a NAS and a broadcast-LAN device to perform PVR duties using your home network. An issue that can easily beset DLNA / UPnP-AV content-delivery setups is the fact that digital-image, audio and video content can be delivered in newer file formats and that it could be packaged for high-quality setups. A case to point could be 4K UHDTV video content which would work with the newer 4K UHDTV sets; or you could have audio content packaged in the FLAC lossless-compression file formats rather than MP3 or WMA file formats. But the problem that exists is that you will likely to have older or cheaper equipment that can’t handle the higher-quality content types. Some devices that can handle the higher-quality content type may not be able to handle it in the file format it is delivered in unless the device’s firmware was updated to take the newer filetypes. Typically, this may ruin the experience because the device will typically throw up a confusing error message or show nothing. 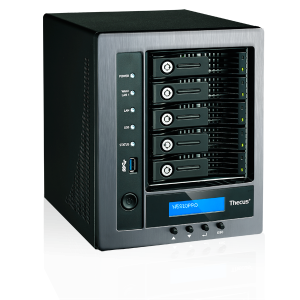 A few UPnP-AV / DLNA Media servers do support some form of filetype or content transcoding with some Synology NAS units implementing this functionality at the hardware level. But there isn’t the ability to be sure that the NAS, broadcast-LAN tuner or similar device provides this kind of transcoding. The new DLNA 4.0 specification mandates that compliant server devices have to transcode the content that they serve if the client device can’t handle it directly. The questions worth raising about this required function is whether this applies to filetype transcoding only or if it also includes functionality like downscaling a 4K video to Full HD for existing HDTVs for example. It shouldn’t also be about whether the transcoding takes place in the background for stored or downloaded media or only in a real-time fashion whenever legacy equipment wants the resource, something that would work with broadcast-LAN applications. As far as NAS and DLNA media-server software design goes, one differentiating point that will exist would be the ability for the hardware and software to implement hardware-based transcoding. This is where a separate processor and RAM, like a GPU setup, is provided to transcode video content rather than the device’s main processor and RAM being used for the task. It is similar to what would happen if you use a computer equipped with a discrete video card or chipset to transcode some video content and this permits the main processor in the NAS to continue serving the files without having to transcode them at the same time. 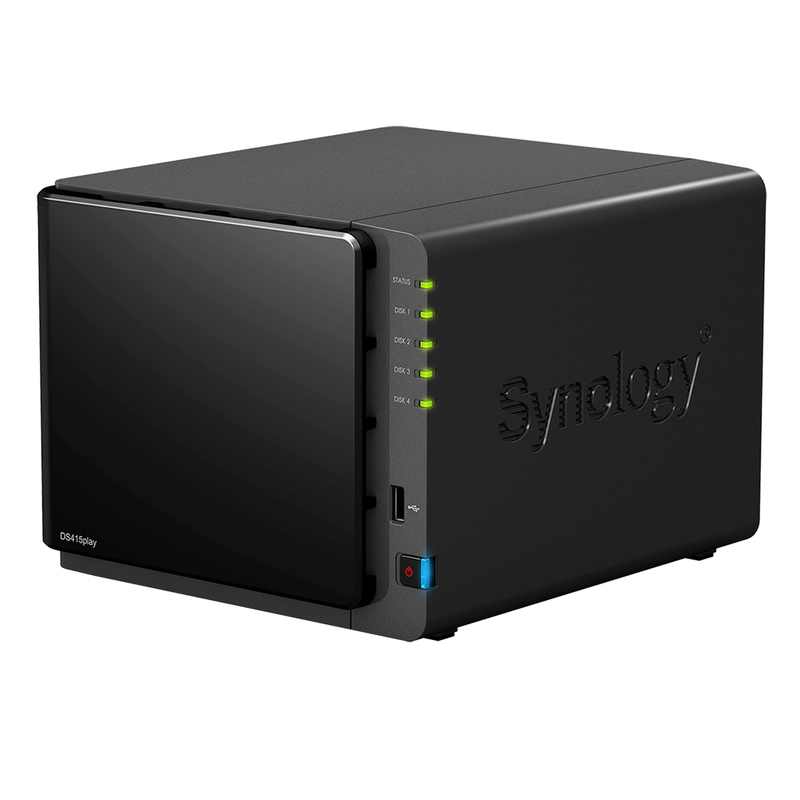 At the moment, the Synology DS416play, the successor to the DS415play which was the first NAS to offer this feature, is the only one that implements hardware transcoding. Personally, I would like to see these devices offer transcoding for QuickTime and Motion JPEG video as used by some digital still cameras, and FLAC and ALAC lossless audio which is now valued as a high-quality audio format for “ripping” CDs or buying download-to-own music. This is because these formats are not universally handled in the DLNA network media sphere. Other functions that are part of this version include catering to IPv6 networks which is fast becoming the way to go, inherent support for 4K and HDR video content, the requirement for a DLNA MediaServer to expose HD variants of more video filetypes and the VIDIPATH functionality being baked in to the standard which would be important especially for Pay-TV applications. But this solid-state-drive NAS is a different breed to the portable NAS units offered to mobile users who exchange data between laptops and tablets. This is about Ethernet rather than Wi-Fi connectivity along with a 4-disk RAID array for performance or data safety, and increased functionality thanks to a desktop-grade NAS app store offered by QNAP. 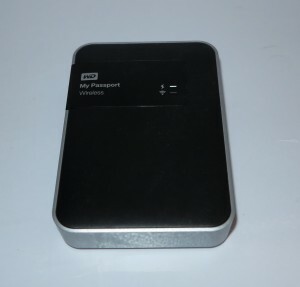 The drives that are preferred for this device are the M.2 type that are typically used for Ultrabooks and 2-in-1s with this device being about the size of a B5 notebook. As well, it is powered by a 19-volt power brick but can accept voltages between 10 volts and 20 volts DC. This makes it suitable for a wide range if industrial and similar uses and could appeal to automotive and marine use, if there was a way to support externally-switched power control expected for such use. It also has a 4-port Ethernet switch for one network along with a single Gigabit Ethernet socket for another network and this can be set up to work effectively like a router or to serve its own network. 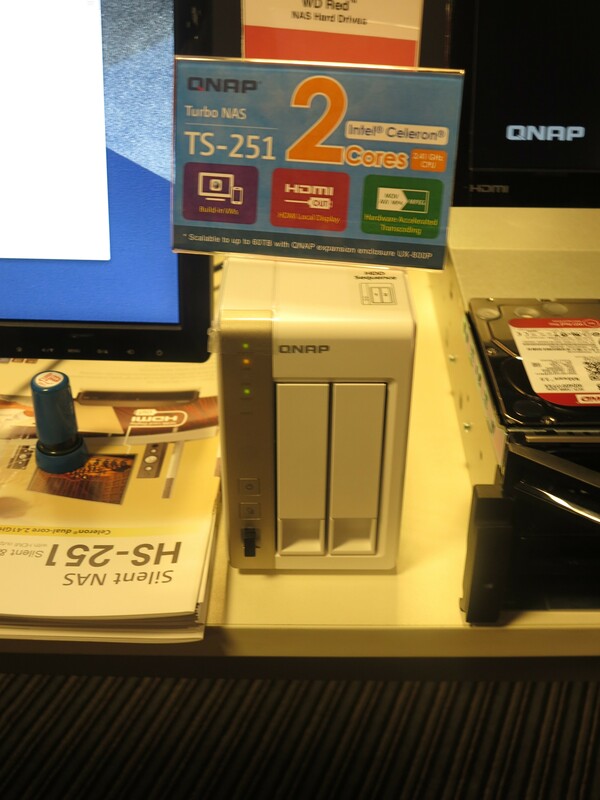 As well, like other QNAP NAS units, this implements the QTS operating system with an increasing array of apps for business and personal use. But it also can be set up as a Linux computer by implementing a virtualised dual-operating-system setup and has the necessary “console” connections for this purpose. That is HDMI for display and audio connection along with USB connections for keyboard and mouse purposes. Like some recent QNAP NAS units, it also has its own audio interface which makes it appeal as a multimedia computer in its own right. You can also expand this book-size NAS to work with a regular disk array by installing UX-800P and UX-500P multi-disk expansion modules this allowing you to create RAID disk arrays with these disks. This kind of “far-fetched” cutting-edge network-attached-storage device could be easily dismissed as a toy rather than a tool, but there are some applications where it could earn its keep as a tool. 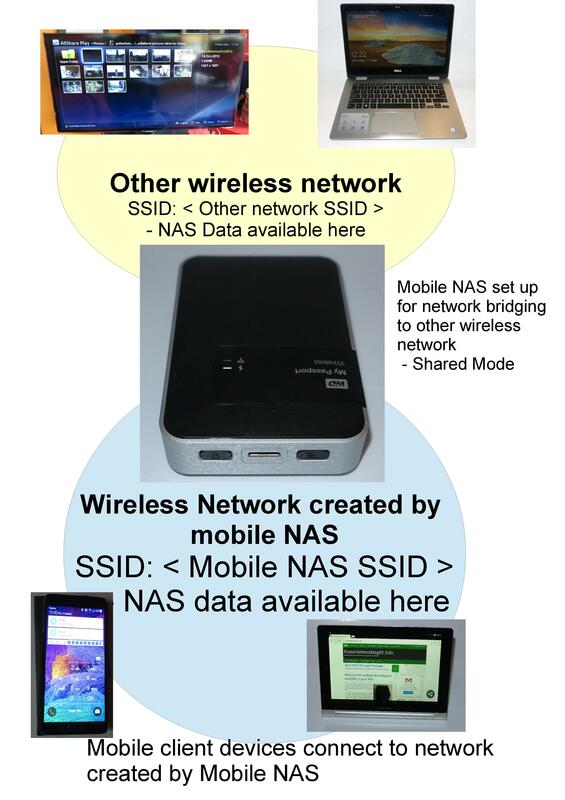 One would be to exist as a highly-capable Ethernet-connected portable NAS or server device that you use in a “mobile-office” setting. Similarly, you could see this being used with a home network where you want the multimedia functionality like DLNA Network Media Server functionality looked after but without dealing with a noisy or power-inefficient device. This would also win favours with home-AV manufacturers and distributors who are showcasing their network-capable hi-fi and home-theatre equipment at the hotel-based hi-fi shows like what the Chester Group are running. As well, QNAP are pitching this device in the Internet Of Things and building-security applications scenarios where this NAS could record data from sensor-type devices or visual images from network cameras yet be able to work with low power demands. 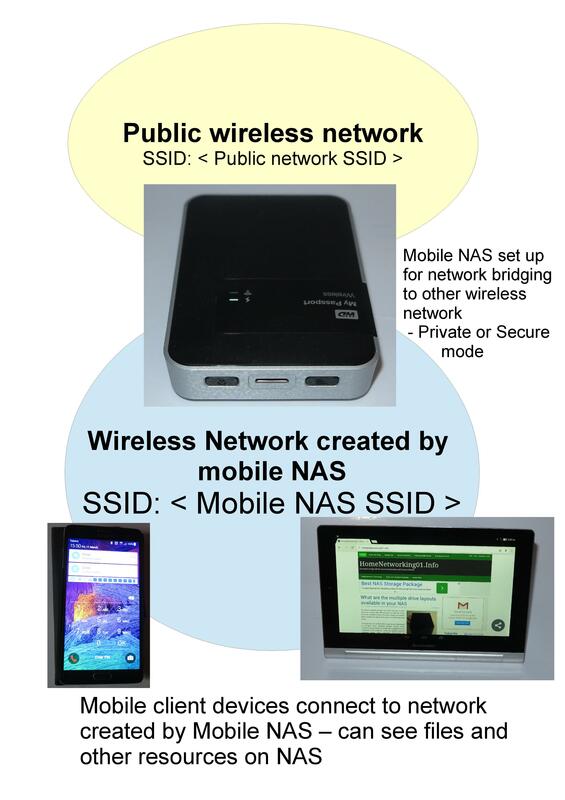 QNAP could see the TBS-453A as an effort to approach vehicle and marine applications for NAS devices along with courting mobile workgroups, remote data collection or other setups where portability, low power consumption or reduced operating noise are highly valued. A Korean company had launched a new direction for satellite antennas where they aren’t a dish with the LNB antenna in front but a multiple-layered plate which masks a horn-based waveguide to the LNB antenna in the back. It is very similar to how a horn-style tweeter on some PA and hi-fi speakers works, allowing for efficient handling of very high frequencies. This company, SelfSat, has allowed for this to materialise as a highly-compact satellite antenna that can be installed by just about anyone even in situations were the traditional satellite dish can be perceived to be ugly and subject to all sorts or regulations and rigmarole. As well, these antennas also are pitched at cheaper multiple-tenancy housing which isn’t equipped with a SMATV (common satellite dish) setup for satellite-TV reception. But they took this further by offering a range of single-piece antennas that have integrated SAT-IP broadcast-LAN support with its own Ethernet connection. This allows he SelfSat>IP antennas to each serve up to eight SAT-IP reception devices with content concurrently. There is also 2 LNB outputs on this satellite antenna so you can connect a multi-tuner PVR sat-box or multiple set-top “display-only” sat-boxes. SelfSat even took this further with their Snipe Air lineup of mobile SAT-IP broadcast-LAN antennas which have their own 802.11ac Wi-Fi access point to distribute satellite TV to 8 concurrent Wi-Fi-equipped computer devices. I am not sure whether these only function as access points in that they create their own network or whether they can be part of an existing Wi-Fi network, contributing satellite broadcasts to that network. The best application example that comes to mind for the Snipe Air SAT-IP antennas is the Tour De France where one or more of the “camping-cars” (motorhomes) that line the route of the cycle race use this antenna to pull in any of France Télévision’s coverage signals that the Astra satellite yields, serving one or more iPads or convertible laptops with vision of where the peleton is currently at. This allows for a judgement call about whether to run out to the roadside to see it pass or not. The advantage that SelfSat pitches about Snipe Air compact satellite antennas is that they can be stored easily in a small car’s boot with room to spare or that, in the case of some models, they have the same roof profile on a caravan, campervan or motorhome as the typical roof-mount RV air conditioner. What do I see of SelfSat’s SAT-IP efforts? I see them as a way to reduce the fuss associated with deploying the equipment necessary to receive satellite TV service. This could open up paths for many-endpoint mobile applications like the “Tour De France caravan parks” familiar to anyone who watches that cycle race, or the road coaches that offer competitive road transport service across European borders. Previously in my series on IFA 2015, I have covered the trends affecting personal and mobile computing like the arrival of the Intel Skylake silicon which raises the performance of portable computers along with trends affecting the home network such as 802.11ac Wave-2 Wi-Fi wireless. Now I am covering the technologies affecting home entertainment. There have been major strides forward with TV technology especially 4K ultra-high-definition TV. Firstly, the cost of these sets is gradually reducing in such a way where they could start to appear in discount stores and supermarkets. But another technology is appearing in the form of High Dynamic Range for video-content display. This is intended to create a more realistic image by preserving a high level of contrast between the brightest parts and the darkest parts. Here, the image would look like what you would see in real life like when you see the sun reflecting off the surface of the sea. Colour shades would be represented close to what they were to be, including the ability to handle bright exotic reds properly. LG have launched some flat OLED 4K TVs in the form of the EF9500 (65” and 55”) series and the EG9200 (55”) which are HDR-ready. With these sets, the flat-screen feature is underscored as being important for group viewing and whenever one is viewing on an angle which is something that curved screens cannot excel at. They also released a curved OLED 4K model in the form of the EG9100 series but this model omits the HDR feature. All these Smart TVs implement the WebOS 2.0 platform. Samsung have covered all their bases when it comes to 4K TV technology by offering sets from 32” to 105”. They have announced that their UHDTV sets can be able to work with HDR material and these sets will benefit from this capability courtesy of a firmware update. Panasonic have launched the CZ950 which is the first 4K OLED-based UHDTV to be launched by this brand. This 65” curved-screen set is tuned by Hollywood colourist Mike Sowia and is HDR ready. Sony haven’t been quiet but launched their Bravia X91C series TV to Europe and Australia. This is while Philips launched their Ambilux TVs which use pico projectors to project images on to the surrounding wall to effectively enlarge the viewing area. As for sources that supply video content in UHDTV, there has been some action lately on this front. The 4K UHD Blu-Ray format has been launched as a way to cost-effectively deliver 4K material on Blu-Ray optical discs. It also has the ability to work with Dolby Atmos and other object-based sound-mix formats as well as supporting a digital media bridge function. Samsung has launched the first player capable of this format at IFA 2015. As for broadcast content, Germany is moving towards DVB-T2 and implementing the HEVC codecs as part of this format which makes for traditional terrestrial broadcast TV being capable of being delivered in 4K UHDTV. But there is more activity on the satellite-TV front with Eutelsat and SES Astra have been building out bouquets of 4K television content to be delivered this way. One example of this is the Fashion TV 4K channel that is being delivered by SES Astra satellites. CanalPlus is in on the 4K act as is Pearl TV, a German shopping channel. This is while Hessicher Rundfunk who is part of ARD is running demo transmissions via the Eutelsat Hotbird satellites. Sky Deutschland and a Scandinavian broadcaster have registered intent to establish 4K satellite content. When a consumer-electronics show has computing and TV as activities of focus, it is easy to forget about what is happening with audio technology. This is as the technology is being more focused around file-based audio and wireless multiroom audio setups of which there has been a lot of activity in this department. LG has built out their MusicFlow Bluetooth audio platform with the MusicFlow P5 speaker that supports Automatic Music Play that starts playing your music when you come in range.This device can run on its own battery for 15 hours. They also launched the SoundPop 360 which is a Bluetooth speaker that is the shape and size of a coffee cup and fires the music out around it. It has a playing time of 20 hours on its own battery. These Bluetooth speakers support LG’s MusicPoint functionality which is effectively multipoint for Bluetooth speakers where you can connect two Bluetooth phones to the one speaker and play music through that speaker. There is also the DualPlay functionality where you can connect one phone to two LG Bluetooth speakers and set it up for improved stereo separation or many-speaker party-mode playback. The TV Sound Sync functionality allows you to link the Bluetooth speakers to a Bluetooth-capable TV and set up for better stereo or surround home-theatre separation or a private listening experience. Samsung has answered LG on the Korean wireless-speaker front by offering 360-degree wireless speakers in the form of the R1, R3 and R5. These are cylindrically-shaped speakers rather than the previous egg shape and have a touch-based control surface so you can skip or recall tracks or “duck” the volume easily and they work with your Wi-Fi home network. Samsung’s Gear S and S2 smartwatches come with software to make them be remote controls for these speakers. Philips have fronted up with the “Izzy” BMS range of Bluetooth speakers which can be synced to each other for a party-mode playback setup. These implement a pair of 2.5” full-range drivers in a bass-reflex enclosure. Bang & Olufsen have fronted up at the IFA this year to show the BeoPlay A6 multiroom speaker which implements an unorthodox shape in order to fill a room with sound. The fact to remember about the way B&O speaker designs is that it isn’t just about their distinct looks but that these looks are to achieve improved sound dispersion across the frequency bands.This Danish-built speaker can work with B&O’s wireless iteration of the Beolink multiroom system or can cover all bases by working with Bluetooth or a Wi-FI home network supporting AirPlay or DLNA. There is a desire by manufacturers and consumers to gang multiple wireless speakers together to play the same source. This is to permit improved stereo separation with that wider sound or to allow for “party mode” playback where all the speakers play the same music over a larger area. This extends to integrating subwoofers in to the equation to bring out that deeper bass, allowing the bass guitar or drum kit to come forward in popular music for example. But there is a problem with Wi-Fi and Bluetooth setups where these networks are packet-based in the way they move data and there is a desire to keep the audio content in proper sync. This is limited due to chipset manufacturers and speaker / multiroom-system manufacturers designing their products so they can’t work with other products. There has been an effort in the right direction with Qualcomm’s AllPlay Wi-Fi-based system being implemented by different brands. Bluetooth could work harder on this goal for speakers that work in that domain while the Wi-Fi Alliance, IEEE Forum, the UPnP Forum and other alliances can work together to achieve this goal over IP-based local networks. There is always a bit of action when it comes to new headphones and earphones to connect to your laptop, smartphone or tablet when on the train or plane. This is because most of us want to hear good sound from these devices to make our travel more easier and, in a lot of cases, these double as communications headsets for whenever we make and take phone calls on the go using the classic mobile or VoIP services. Sony have released their h.ear series of “cans” which come in different colours and are optimised for high-resolution sound. The first of these is the h.ear on which is a pair of closed-back circum-aural headphones that have a 5Hz-60kHz frequency range and are efficient for battery-operated devices by having a low impedance and 103dB/mW sensitivity. There is also a pair of h.ear in noise-cancelling earbuds that are part of the range. These are pitched to go with their NW-ZX100 noise-cancelling Walkman file-audio player and the NW-A25 and NW-A26HN Walkman file-audio players with this model having noise-cancelling headphones. Onkyo has used IFA 2015 to advance a pair of wireless earbuds which look larger than your typical earphones. Personally I see these earbuds a bit like a stereo take of those mono Bluetooth headsets that you slip over your ear to take calls in a hands-free manner while on the go. Bose have used the IFA 2015 to premiere their Soundlink AroundEar Wireless Headphones 2 which are a pair of Bluetooth circumaural headphones based on their QuietComfort range of active-noise-cancelling “cans”. The traditional hi-fi hasn’t been forgotten about courtesy of Panasonic who are staging an aggressive comeback for the Technics hi-fi brand. For vinyl, they are revealing a prototype direct-drive turntable that is modelled on the classic SP-10 turntable and the SL-1200 “Wheels Of Steel” DJ turntable. This will come with an improved direct-drive motor. They have also fielded a pair of hi-fi headphones in the form of the EAH-T700 closed-back headphones which implement a two-way speaker design based around a 50mm main drive and a 14mm super-tweeter for each channel. But they also have built out their stereo equipment range further with the Grand Class G30 hi-fi which is based around the SU-G30 network media player / integrated amplifier and the ST-G30 music server which rips CDs to solid-state disk in a bit-perfect manner, more the reason to buy your music on CDs. This device serves the music out to your home network using DLNA technology and uses FLAC or WAV files to store the music. They have also fielded a single-piece hi-fi system with integrated CD player which can also draw in music from your home network in the form of the Ottava Premium Class C500 system. As well, they showed the C700 speakers to go with that above system. Next in this series, I will be covering the Internet Of Things which will encompass home automation and home appliances. Stay tuned! Previously, SES Astra have launched a standard for broadcast-LAN transmission of satellite-TV signals around a home or similar computer network. 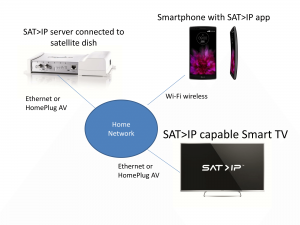 This standard, known as SAT>IP or can be known as SAT-IP, is based on UPnP technology but with the ability to transmit broadcast selection and satellite selection information to the server devices. This was initially setup for the SES Astra satellite infrastructure that was common in Europe but SES have partnered with Hispasat who are a Spanish TV satellite operator competing with them to push SAT>IP across the whole of the European TV satellite space. This is because an increasing number of companies are manufacturing equipment designed for this infrastructure, including Panasonic who are fielding a range of Smart TVs with client functionality. For that matter, some of their “lounge-room” TVs are offering the server functionality so they can work with the existing satellite-TV infrastructure yet pass this on to SAT>IP clients. SES are also stepping back from promoting this standard and are putting the mantle of promotion on to the supporters and adopters who are developing the equipment. This is to encourage an operator-neutral attitude towards implementing the broadcast-LAN technology for satellite TV. It is also worth noting that a network can have multiple SAT>IP servers on it which can also cater to multiple-dish setups where there is a goal to receive content from multiple satellite platforms, something that may be of importance in Germany especially. Who knows what this could lead to with a level playing field offered by SAT>IP. A common issue with running a network-attached storage is making sure that the data is intact even if things go wrong with the AC power. This is something that can easily go wrong in regional and rural areas where there is a combination of overhead power lines and overgrowing trees and it just takes a tree or branch to fall down for the power to go out, or if your premises has ageing electrical infrastructure. Typically this will involve the use of an uninterruptable power supply which effectively is a battery bank for your computer device, giving it a bit of time to properly shut down if the power fails. These are separate devices that you have to buy and plug your NAS into and most of them have the ability to signal to the NAS to appropriately write back the data and properly shut down when the power is out. 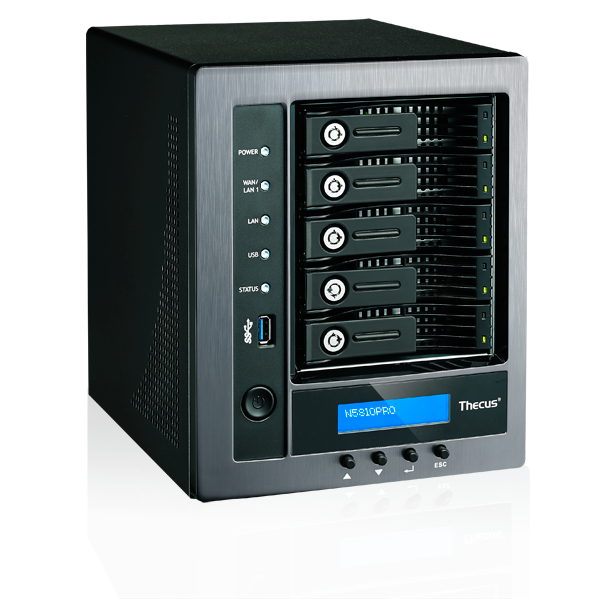 But Thecus has solved this problem with the N5810PRO which is a 5-bay small-business NAS that has an integrated uninterruptable power supply. This battery bank provides enough power to cause the NAS to write back all of data to its five disks and properly shut down, but you don’t have to have a separate device to achieve this. It also has the other expectations of a small-business desktop NAS such as server functionality for a wide variety of tasks alongside even a server-side implementation of McAfee’s anti-virus software. As well, there are the 5 Ethernet ports which allow for serving 5 different physical networks or providing a “fat-pipe” from a suitably-equipped switch. Oh yeah, it also supports SMB/CIFS, DLNA, iTunes for the file transfer and can run multiple RAID volumes across the five disks. But could I see the integration of a battery backup / UPS function in a NAS become a product differentiator? This could be more so with “small-business” models and the battery capacity could be a product differentiator in itself especially if the goal is to provide long-run failsafe operation. 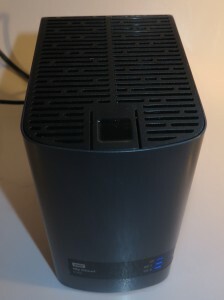 Previously, I reviewed the Western Digital My Cloud EX2 desktop NAS and found that this was a two-disk NAS in their range that offered a wide range of functionality. This unit and its 4-disk stablemate, the My Cloud EX4, have been positioned as “entry-level” or “foot-in-the-door” NAS units for people who crave a high level of functionality out of these devices. Now WD have released a mid-tier pair of NAS units that are based on more powerful specifications compared to the EX2 and EX4. These use Armada RISC horsepower and higher working RAM capacity (1Gb for the EX2100 and 2Gb for the EX4100) along with 2 Gigabit Ethernet ports for demanding networks or to serve 2 networks at once. They also even have a “walk-up” USB port on the front so you can quickly “dump” data from an SD card or memory key at the touch of a button. They also released a business-focused pair of NAS units that are the most powerful of the bunch. These units, known as the My Cloud DL2100 and the My Cloud DL4100 implement Intel Atom processors similar to what would be expected in a Windows-powered entry-level tablet. Their working RAM also start with 1Gb for the DL2100 or 2Gb for the DL4100 but can be taken up to 5Gb or 6Gb respectively to match the machine’s workload. 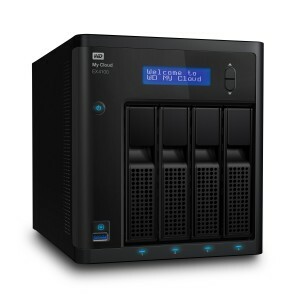 These NAS units will run on the WD My Cloud OS operating system which has a good supply of third-party applications for uses like UPnP / DLNA, integration in to large storage systems, and the like. 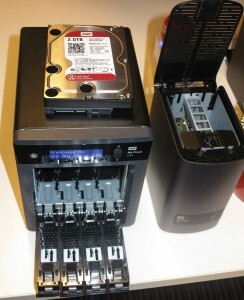 As well, systems that come with hard disks will come with the WD Red drives and can mount the newer 6 Terabyte disks. One way that WD could improve on these products would be to integrate BitTorrent Sync in to the NAS firmware in order to permit vendor-independent NAS-to-NAS syncing. This could then be about allowing for a second NAS to be about off-site backup storage or data replication. Other directions that I would be seeing for WD’s MyCloud EX NAS units would be to provide audio and video transcoding or even “batch rendering” of audio / video / animation project files. Let alone pushing equipment of the WD MyCloud DL4100 ilk as a games server. 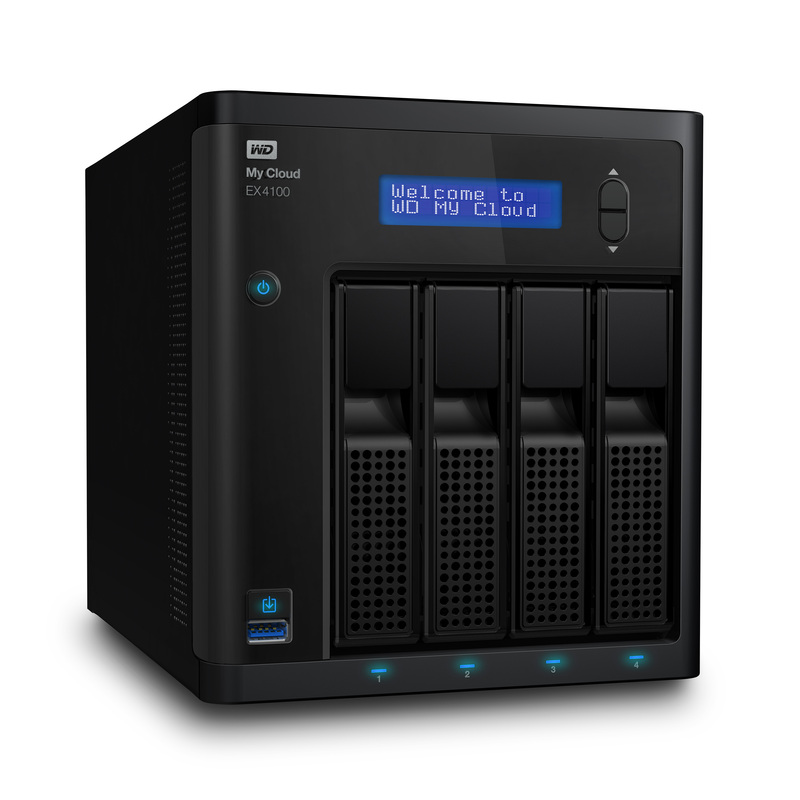 I do see a lot of promise in WD’s MyCloud EX and DL lineup of expert and business NAS units not just as data storage but as secondary headless computing systems.